The family of a Luton man killed on Christmas Eve have paid tribute to him. 37-year-old Ross Cowling was on his way home to his family for Christmas when he was killed in a collision. The father-of-two died following a collision with a green Land Rover Defender at about 5.35pm in Flitwick, on Christmas Eve. A statement from the family said: “Ross was a loving father, brother, uncle and son and we are all absolutely devastated. The family are being supported by officers and the driver of the vehicle is currently helping police with the investigation. 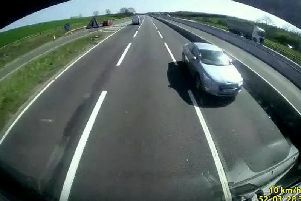 Anyone who witnessed the collision, or saw either the vehicle or Mr Cowling prior to it, should call PC Ed Colley from the Bedfordshire, Cambridgeshire and Hertfordshire Forensic Collision Investigation Unit on 101.